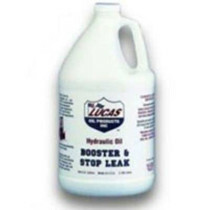 Hydraulic Fluid Additives are primarily offered by industry leader Lucas Oil. These additives include oil boosters and stop leak blends that effectively halt leaks and increase the overall performance of engine systems. 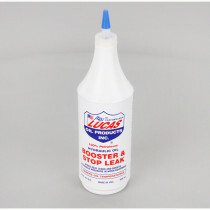 These boosters and stop leak additives are made of petroleum and oil additives that are intended to increase the longevity of seals, pumps, and treated hydraulic fluids. In addition to increasing life span and stopping leaks, these blends are designed to provide thermal stability to all types of hydraulic oil.